Dental trauma is an injury to your teeth, jaw, mouth and the surrounding soft tissues. This can expose the inner tissue of the tooth to an infection and may even require a root canal therapy. Toothache is when a patient suffers from severe pain in and around the problematic tooth and the jaw. It may occur due to abscessed tooth, fracture in the tooth, damaged fillings, infected gums and teeth grinding. 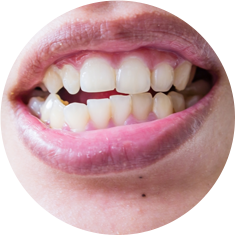 Swollen gums turn red, puffy and these are early symptoms of gum disease. You should talk to your dentist as soon as possible in order to prevent further damage. Most dental injuries take place due to bad falls, sport accidents, knocks to the face, knocked out tooth, fractured and extruding teeth. Emergency Dentist London is a state-of-the-art emergency dental care centre that provides out of hour dental services throughout the year. We’re strategically located at the Ground Floor of 70 Great Russel Street, Holborn, London. Our dentists are dedicated to provide round-the-clock service so that we can help you if you have emergency dental needs. We not only offer same-day appointments but also accept patients on Saturdays and Sundays if they find the weekend more suitable. Please feel free to call us at 02031376356 or drop an e-mail at info@emergencydentistinlondon.co.uk to book your appointment. Dental emergencies can occur at any time, making you feel completely helpless. Our out-of-hours dental emergency service proves helpful in helping you with any urgent dental concerns and problems. Don’t hesitate to avail our urgent dental care in cases like severe toothache, chipped or knocked out tooth, broken denture, fallen out crown, dental trauma, swollen gums and others. Our 24 hour emergency dentist possesses an impressive track record in providing fast relief to your problem. 24 hour emergency dentist near you in the area of London. We handle emergency dental cases on immediate basis and treatment is provided on the same day. We’ve a robust team of qualified dentists and experienced support staff to ensure greater value of your money. Our appointment slots are available from early mornings to late evenings including the weekend. We provide comprehensive treatment solutions to every case that comes our way using the latest technology. Our experts are reputed to handle nervous patients with great comfort. Watch our exclusive video on dental emergency for a patient and the discussion of the necessary steps for a proper diagnosis. Are you suffering from severe pain and discomfort? Do you need an urgent dental treatment? We allow patients to book their appointments online during the weekend. Our dentists prioritise each case and provide appointments on Saturdays and Sundays to help you overcome the pain and suffering. Dental trauma, swollen gums, crowns that have fallen out, broken dentures, toothache and dental injury are some issues that require out of hour dental care during emergencies. You may call our dentists for all your urgent dental care! Why is regular check-up important after a dental emergency? Detect the chances of mouth cancer. Stay away from plaque, cavities and tartar. Perform X-rays of the teeth and jawbone. Check your lymph nodes, neck and head. How can you stay prepared for emergency dental problems? Dental emergencies can happen at any time and at any place and you need to stay prepared for such situations. Make sure you carry a dental first aid kit with these items. Small container having a lid. Your dentist name and contact number. By calling the helpline number of our emergency dentist, you will be connected with our multi-lingual customer service team. You will be requested to provide your details such as name and contact number. We will see you at the earliest appointment slot available, as per your convenience. You will be provided with detailed directions along with parking information to reach our dental clinic. We ensure to provide urgent dental care to patients and aim to resolve their concerns quickly and effectively. When do you need a dental emergency? Head Injury – Have you recently fallen from a bike, down the stairs or while walking on the street and have broken or lost a tooth? Your main priority should be to go and see the nearest dentist for an emergency dental treatment in order to avoid any serious complications. Avulsed Teeth – The teeth that have been completely knocked out and cause excessive pain and bleeding are known as avulsed teeth. In this case, you must visit the dentist immediately so that you don’t lose your teeth permanently. Extruding Teeth – This usually happens due to a sudden collision, however, like an avulsed tooth, it does not fall out from the mouth. An extruded tooth might either be protruding, out from its position or hanging from the thread of tissue. 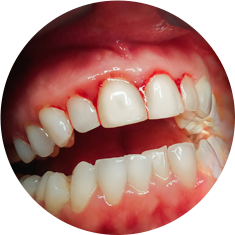 Though your teeth might not bleed, you can still push the tooth back to its position. Broken Tooth – Even if your broken teeth are not bleeding, it does not mean in any way that you do not require an emergency dental treatment. Though it is possible to see your dentist the next day, the teeth should be seen immediately if they have a sharp edge. Severe Pain – Dental pain can be unbearable at times. If you are experiencing severe pain in the jaw, it is advised to visit our dental care clinic. While there might not be any physical symptoms associated with extruded or broken teeth, an X-ray should be performed to find out the small details so that a treatment can be planned. 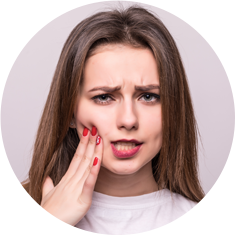 Excess Bleeding – If there is excessive bleeding, even after a few minutes, the situation is serious and can become worse if you don’t see a dentist. Make sure you take immediate action as it can create a big difference between saving and losing your teeth. Toothache – Use warm water to rinse your mouth and floss daily to remove food particles lodged in between the teeth. If your mouth is swollen, apply cold compress on the cheek to reduce the pain. Chipped or broken teeth – Rinse your mouth with warm water and keep the broken teeth pieces saved until you visit a dentist. If there is bleeding, try to use a piece of gauze on the affected area for atleast 10 minutes or till the bleeding stops. Apply a cold compress on the outside of your cheeks, lips or mouth near the broken/chipped tooth to relieve the pain and uneasiness. Knocked Tooth – In this case, it is important that you pay proper attention as the tooth has been knocked out. Here are a few things that you can do before you visit our dentists. Find the tooth and avoid touching the root in order to avoid any kind of damage. Rinse the tooth with warm water or milk and avoid scrubbing it. Try to insert the tooth back into the socket if you are an adult. If this has happened to a child, do not. Extruded (partially dislodged) tooth – You will have to apply cold compress to the outside of your cheeks or mouth on the affected area to ease the pain till you go to your dentist. You can take over-the-counter pain reliever to get rid of the uneasiness and discomfort. Small food particles in between the teeth – Flossing thoroughly can help you to remove small food particles that have got stuck in between your teeth. If you cannot remove the object, it is advised to see your dentist immediately. You should never use a pin or any sharp objects to remove the object stuck between the teeth. Loose Tooth – It can happen due to injury or trauma to the face while playing a sport or practicing other activities. It is advised to call our 24 hour dentist to solve the problem. 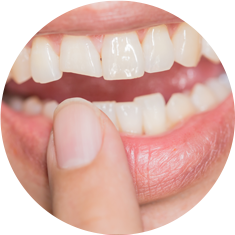 Missing Filling or Crown – It might get lost due to eating hard food, injury or trauma. In this situation, the tooth gets exposed to bacteria, germs and change in temperature which may be the reason for the sensitivity or pain. Seek an appointment with an emergency dentist to fill the cavity.